Presented here is a culmination of my university projects and industry patents / publications. I am currently working for Dimensions Network based in Singapore. US Patent 8,547,539 B2. A system and method for detecting breakage, rupture or mal-functioning of a pipe or cable structure, including sensing	elements for monitoring the structure and placed in, on or around the structure for monitoring the breakage, rupture or malfunctioning of the structure. The sensing elements pro vide sensing data regarding events related to breakage, rupture or malfunctioning and are placed near the structure so as to perform a breakage, rupture or malfunction detection function, and within a distance sufficient to obtain a measureable strain, tension, torsion, vibration, acceleration, and/or temperature response signal based on the breakage, rupture or malfunctioning of the structure. One of the sensing elements is based on Coherent Rayleigh Noise (CRN) sensing tech niques, and the system is configured to interpret the sensed data for determining the breakage, rupture or malfunctioning of the structure. 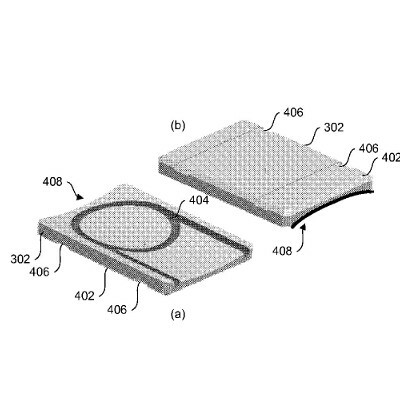 US Patent 8,408,064 B2. 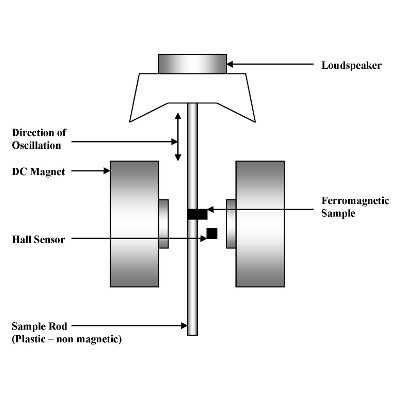 A distributed acoustic wave detection system and method is provided. 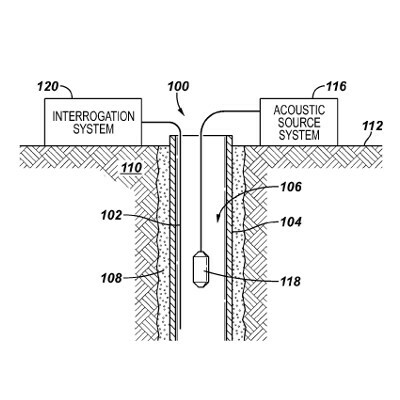 The system may include a fiber optic cable deployed in a well and configured to react to pressure changes resulting from a propagating acoustic wave and an optical source configured to launch interrogating pulses into the fiber optic cable. In addition, the system may include a receiver configured to detect coherent Rayleigh noise produced in response to the interrogating pulses. The CRN signal may be used to track the propagation of the acoustic wave in the well. Wireless “on demand” multimedia services are becoming common place in the communications industry. As these technologies mature, the capacity requirement on the wireless network rises. When developing mobile infrastructure it is important to know what the fundamental limit of data transmission for the network will be. Spectral Efficiency is the measure of how much data can be pushed through a specific bandwidth per second. This report attempts to find a limit on the maximum possible spectral efficiency for a wireless network. Presented here is an investigation into the technique of morphing: a method of creating smooth transitions between two images. Morphing is a common technique in special effects for entertainment, but is becoming important in the fields of computer vision and psychology. Mesh warping and crossfading techniques are employed to morph between various still images. Morphing between full-motion film sequences is also considered and a basic example included. 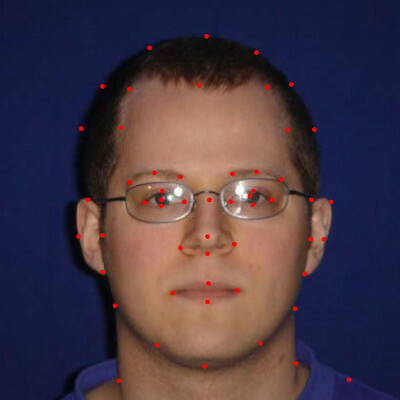 The algorithms used are described in detail including an analysis of the number of ‘critical points’ that must be identified for a successful morph and the possible problems that could be encountered. The mesh warping method, despite being one of the oldest techniques, is shown to be very effective. 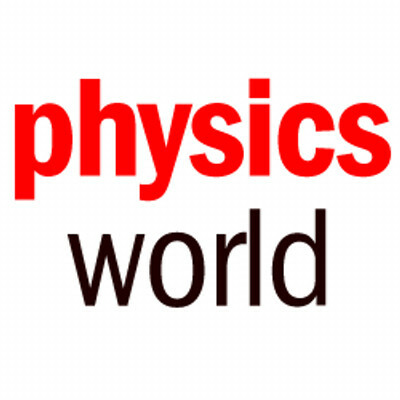 Presented here is a detailed consideration of the modelling of gravitational lensing using a ray-tracing computer simulation. The model discussed deals exclusively with forward-engineering techniques – constructing the visible image from the source and the lens. The mechanics of constructing the model are discussed at length, including an analysis of the effect on image quality of different computational parameters. Numerous gravitational lensing phenomena are reproduced using computer simulation, including the Einstein Ring, arcs and lesser distortions due to weak lensing. Astronomical images of real galaxies are also processed. 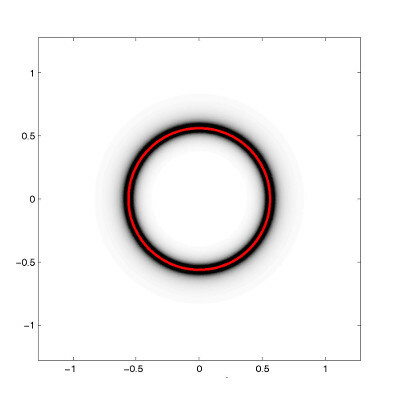 The results of these simulation are shown to be similar to observed gravitational lenses. A brief discussion of the Einstein Cross is undertaken, although the model discussed here fails to reproduced observed images in this case. 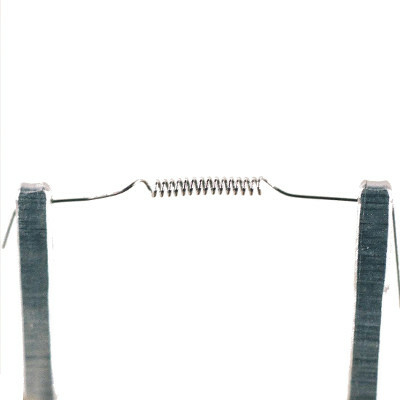 The effect of heating and physically damaging a cobalt wire is to deform its grain structure. This deformation converts a relatively uniform material to one with a significant number of defects; these defects interfere with the movement of the domain walls. With little deformation there is no evident hysteresis loop, a loop can be made visible by further deformation in the form of physical beating. The aim of the project was to investigate the behaviour of a damped driven pendulum. 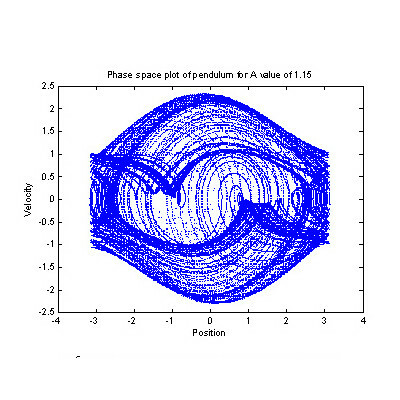 Matlab’s ordinary differential equation (ode) solvers were used to simulate the pendulums motion so it could be examined. This analysis lead to the following areas being investigated: - The solution to the non-linear equation – The best/fastest ode solver to use. - Periodic behaviour. - Chaotic behaviour. 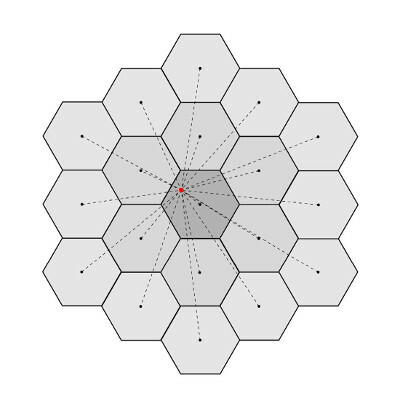 - Generation of phase space maps in the different regimes. - Transient data (i.e. if the starting point is important and how long it takes the oscillator to settle down to motion unconnected to the staring values). - The period doubling phenomenon. - Fourier analysis including power spectra in the different regimes. - The use of windowing to improve the power spectra. - Generation of Poincarè section in the different regimes. - Production of a Bifurcation diagram. All objects are able to absorb electromagnetic waves, but those with temperature above absolute zero radiate as well. When incident electromagnetic radiation strikes a body’s surface it is either absorbed or reflected with the likelihood of each outcome dependent upon the objects surface. A Black Body, also known as an ideal emitter is a body which absorbs all energy incident upon it and re-radiates this energy with a characteristic smooth spectrum of varying frequencies, dependent on the bodies temperature. The human perception of colour is paramount to the production of white light sources. Historical lighting technologies such as incandescence and fluorescence have been shown to have poor luminous efficiency and short lifetimes. 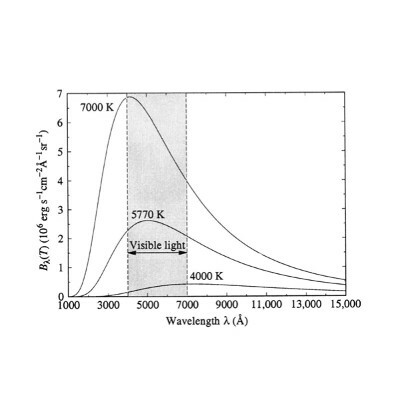 Solid state lighting technology including quantum wells and light emitting diodes have been shown to be an efficient method to produce lighting. Quantum dot technologies show promise in the field of solid state lighting with emphasis on their tunability and capability to produce white light.